If I Die Tonight features a kaleidoscope of viewpoints, including the suspect's mother Jackie, his youngest brother Connor, washed-up pop star Aimee En, and Pearl Maze, a young police officer with a tragic past. There also are the two boys involved in the accident: Liam Miller, a local high school football star, who was hit by the car driven by Wade Reed, a high school outcast and depraved would-be killer. Social media turned Miller into a sort of folk hero, while Reed, who has been convicted in the court of public opinion, isn't talking. A main theme of the novel is family ties and dark secrets and the lengths we will go to protect ourselves. 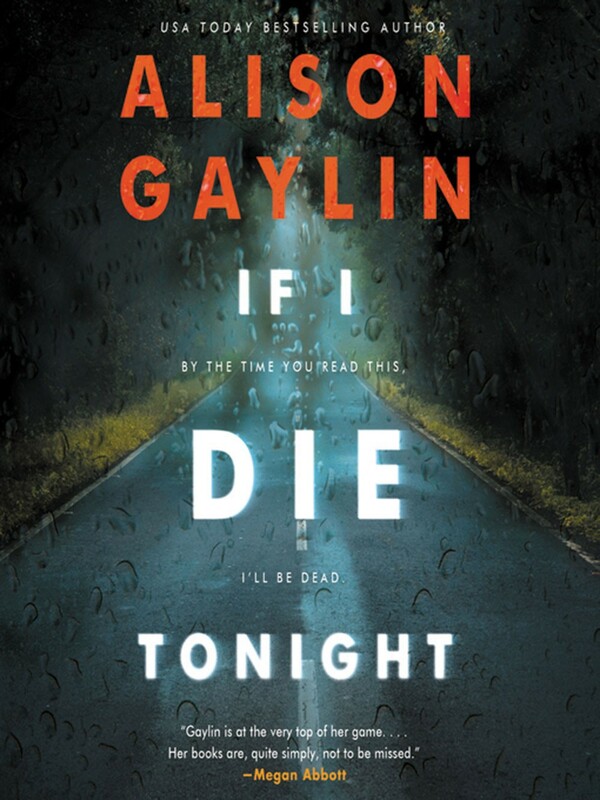 This part of If I Die Tonight details a conversation between Amy (Aimee Em) and Pearl Maze: "Amy sat in the back of the cruiser with Officer Maze driving again - curly-haired Officer Maze with dove-gray eyes, the long eyelashes, and the sharp, no-nonsense jawline. Tough number, Amy had thought when she's first seen Officer Maze at the station, the type who made up for a slight build and a sweet face by carrying herself like someone not to be messed with. Someone a lot like Amy herself used to be when she was young and on her own in Hollywood and wore brass knuckles as an accessory, vials of fake blood dangling from her ears. "'You all right?' said Officer Maze, whose first name, Amy recalled now, was surprisingly delicate and old-fashioned, Pearl. "Pearl tilted the mirror briefly, so Amy could catch a glimpse of her own puffy, swollen eyes. Yes, she'd cried at the sight of Baby, but she thought she's wiped away the evidence. "Amy opened her mouth. Closed it again, her stomach starting to turn. "Amy's shoulders relaxed. It's just a spiel. Same spiel she gives all witnesses probably. It's not directed at you. 'Okay,' she said. 'I'll take that under consideration.'" Gaylin is the author of the Edgar-nominated thriller Hide Your Eyes and its sequel You Kill Me, the stand-alone Edgar-nominated What Remains of Me, and the Brenda Spector series, which includes And She Was, which won the Shamus Award; Into the Dark, and the Edgar-nominated Stay With Me.